Tips from our favorite L.A. jewelry designers. Zoe Chicco: I’ve made jewelry for as long as I can remember. I learned quickly that even if the piece was uncomplicated, if I wanted to wear it, then other people would too. Once I started to design that way, everything fell into place. And that simple concept became the basis for my whole design philosophy. Ariel Gordon: I am all about finding something you can wear every day and can become a part of your uniform. I only work in 14k gold and with real diamonds and stones because I want whatever you wear to be evergreen and flexible at the same time. 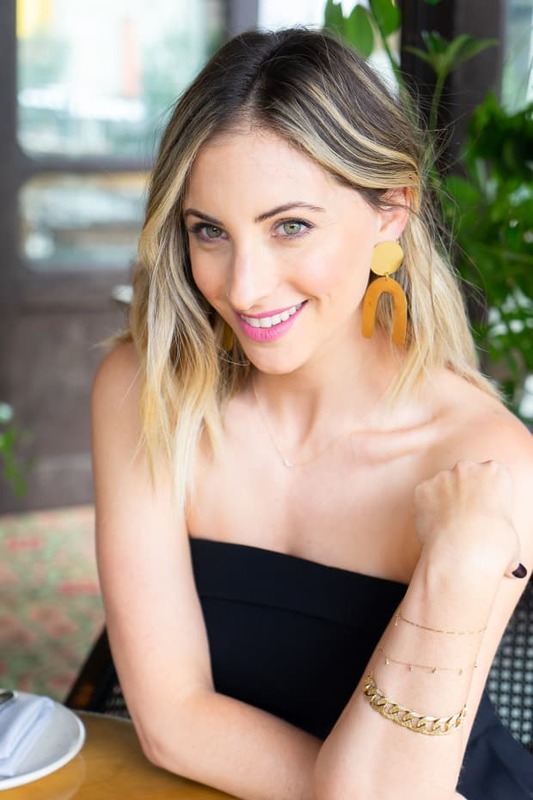 Emily Goldstein of EF Collection: I noticed a void in the market for chic, priced-right jewelry made of quality materials. I wanted to change people’s access to “fine jewelry” allowing it to be fun and something women could wear and enjoy daily instead of sitting in a jewelry box waiting for a special occasion. Z: I layer anywhere from 2 to 5 necklaces, 6 bracelets and my watch, 3 ear piercings on each side as well as a cuff on each ear. I wear 16 rings daily on my ring and pinky fingers and pretty much never take them off. A: I&apos;m usually wearing 7 bracelets, 6 rings, 2 necklaces, and 9 earrings, two anklets, and a toe ring so I have a lot going on! E: When it comes to layering and stacking there really are no rules! I love to mix metals and shapes to add interest. I typically layer 2-3 necklaces, wear multiple rings (always a signet ring on my pinky!) and keep adding to my bracelet stack! Z: Don’t be afraid to pile it on! If you love it and you are feeling it–go for it. If you are comfortable in what you’re wearing and it makes you feel good, it will show. A: Like I said, I have a lot going on everyday but because my jewelry is all dainty and delicate, it doesn&apos;t come off as a major statement... .it feels very lived-in and natural. E: When it comes to wearing my pieces there really are no rules! I always love a good layer but it’s important to wear what feels good. If it’s too many necklaces, rings and earrings at once it might look like the jewelry is wearing you instead of the other way around. Be confident in your look and you will shine! Z: If only there was a way to keep them from getting tangled! It is kind of inevitable. But varying the kinds of chains themselves and their lengths seems to help. I tend to like at least 2 inches of difference between chain length—the bigger the difference in length the less likely it is to get tangled. With chain bracelets, wearing them tighter on your wrist means that they are less likely to flip around to the back. A: I take credit for coining the term changle—I&apos;ve spent many hours de-tangling chains. So wear chains in different weights. If you wear a heavier curved chain that’ll help keep things from tangling. I also make all of my necklaces with small clasps which is annoying when you&apos;re putting on but the lighter the clasp, the less likely it is to turn around and fall to the front! E: It’s best to remove necklaces when showering, exercising or sleeping. When doing so, make sure to lay each necklace independent of one another so the chains don’t tangle. If you never take your jewelry off (guilty!) wearing necklaces at different lengths is helpful. All of my necklaces have multiple jump rings so they are easily adjustable. And when it comes to traveling with your jewelry, check out our jewelry travel pouch with compartments for each of your precious pieces! Z: Personally I feel if you are doing a big statement ring, it is best to have it stand alone on that hand. That is typically my preference. However with smaller bands you can get away with wearing much more. A: I wear the same jewelry everyday. It could be laziness but a lot of it has to do with wearing what is special to me... so I&apos;m a huge proponent of wearing jewelry that has personality but isn&apos;t so trend-driven that you&apos;re not going to wear it next year. E: Let one statement piece shine – if you’re wearing a statement earring, go with a simple complementary necklace and visa versa. Have fun, and mix and match motifs (like moons and stars, arrows, etc.). Z: There is a big movement towards charms and the look of your grandmother’s charm necklaces and bracelets. A: I think that it used to be about circles and then there was a heart moment, but the celestial thing is kind of a whimsical way of wearing a charm without having it feel too junior. E: Right now, it’s all about layered lobes–mixing and matching earrings. 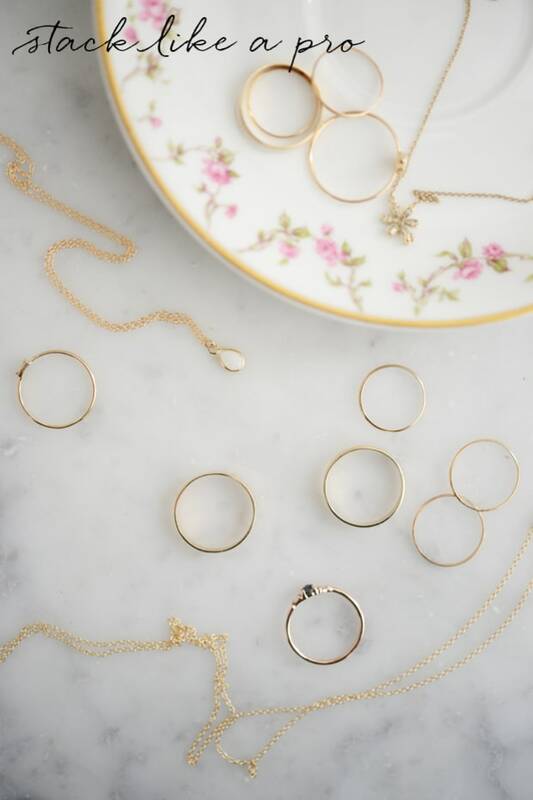 Thank you to Zoe Chicco, Ariel Gordon, and Emily Goldstein for their jewelry layering tips! You can check out their beautiful lines on the Shop here.